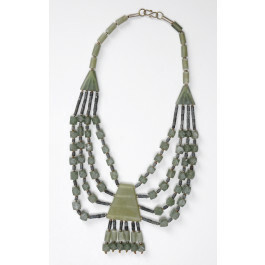 Add this natural jade beaded necklace to your life for a touch of good fortune! 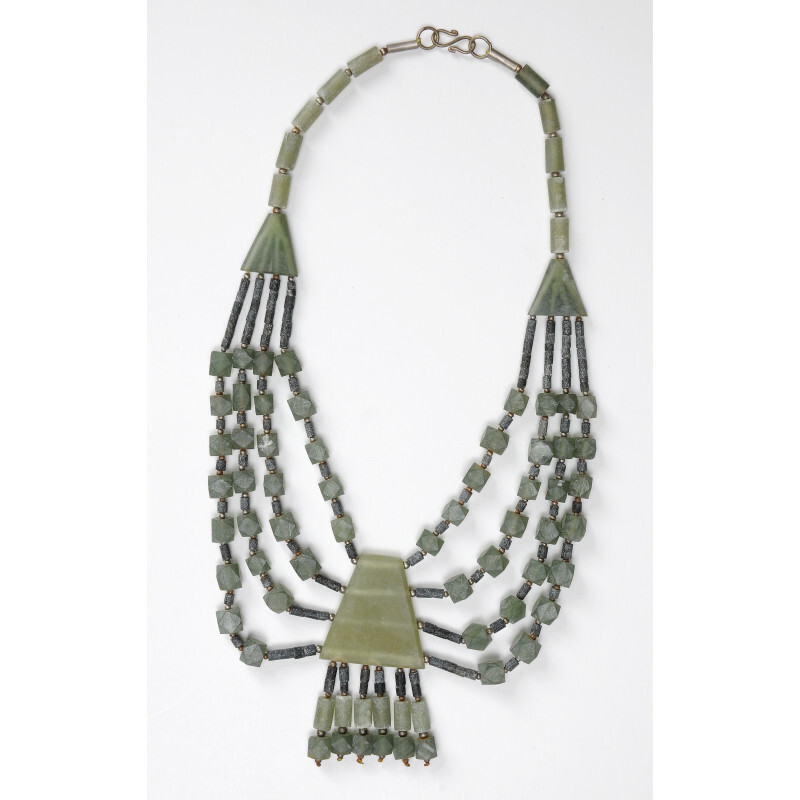 Covered by Natural Nephrite Jade Beads of different shapes and sizes. 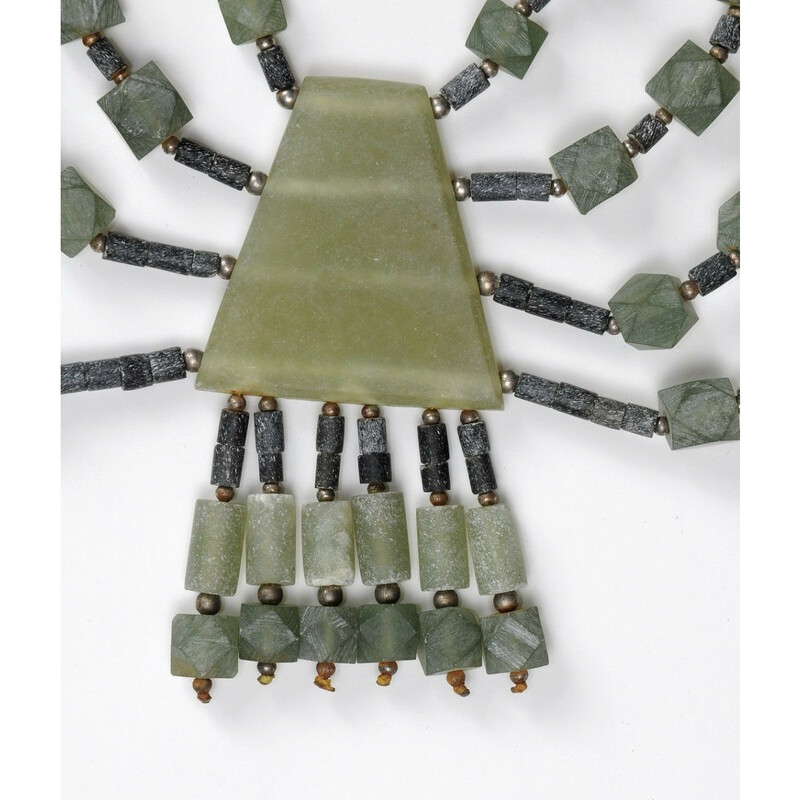 This marvelous and ethnic jewelry piece would make the perfect gift. Length when open 44 cm.